One of the disadvantages of the previous Vodafone Gigacube was that it was limited to 300 Mbps with LTE-CAT6 in the download. The network of Vodafone can deliver but much more! Up to half a gigabit is possible with the new Gigacube tariffs. This circumstance has now been resolved with the new version GigaCube CAT19. As the name implies, the new Huawei B818 LTE Cat19 Gigabit CPE supports LTE-Advanced Por Cat19 and gets a maximum download of up to 1.6 Gbit/s. Responsible for this is the new HiSilicon Balong V7R65 SoC (System on a Chip). Also in the upload makes the new heart much more. Here you made a significant jump from 50 to 150 Mbit/s. Note: Vodafone has sent some devices for the first customers, where the package “Gigacube 1600” stands. It is of course the same device, only with other outer packaging. Also visually, a lot has happened. The new cube is now edgier and looks much more modern. The color is still white, a bit reminiscent of the design artists of Apple from Cupertino. If the predecessor came with 366 g, so the CAT19 version with 700g is anything but a lightweight. However, this should not be a problem in daily use, as it is not intended to use in a companion for a hiking tour. Also, there is no battery, so you always have to rely on a power outlet. If you want a broad range of connectivity, you will enjoy the new edition. 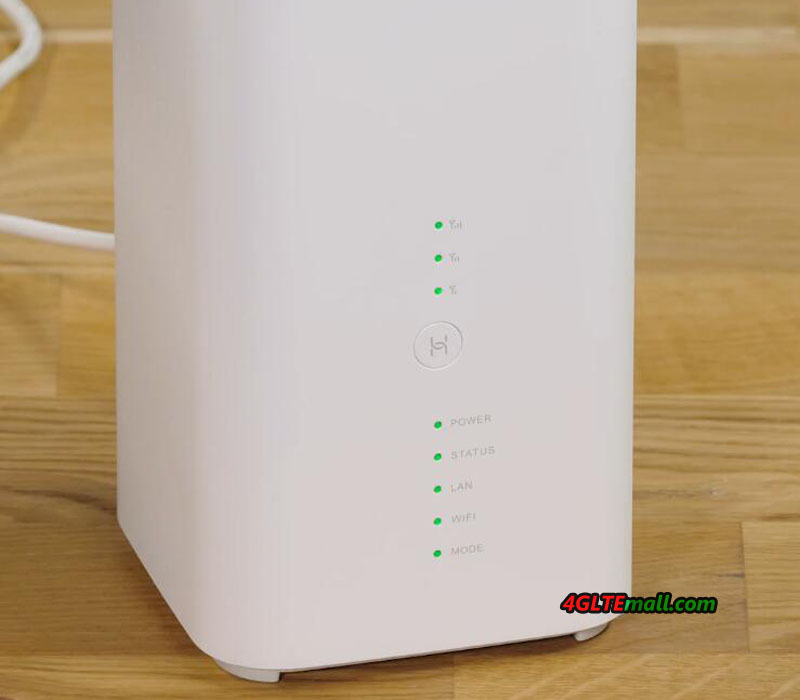 Of course, WiFi is on board and transmits both at 2.4 and 5 GHz to 802.11 a/b/g/n and ac, The MIMO capability (multi-antenna technology) has also been improved. So now 3 × 3 instead of 2 × 2 is used, which significantly increases the data throughput. Even wired, there are more options available with the Gigacube CAT19. Since there was only one Gigabit Ethernet port before, you now have access to two. Very pleasing is the USB port, which is now new with it and allows the connection of external media. Last but not least, the new GigaCube also offers connection options for external antennas via two TS9 ports. Internally, however, already four antennas perform their service, so that 4 × 4 MIMO is possible via LTE, as it specifies CAT19. In one point a small downgrade was made. Whereas previously up to 64 simultaneous devices were possible, the number is now reduced to 32. However, this is unlikely to play a major role in daily use. It will rarely happen that such a number of devices should be served. If so, then the two Ethernet ports are a good alternative to connect another router. However, this extra technology also means a slight increase in power consumption. However, the increase from 20 to 24 watts is moderate. The mass storage GigaCube CAT19 is not intended. With only 512 MB of Flash, it uses the same completely for his operating system. However, the 256 MB memory is very generous for this device class. The daily tasks should hardly be able to fully exhaust these. Even with the software features, there is nothing to complain about. Thanks to the IPv6 and IPv4 dual stack, it is well prepared for the future. Defining a web interface including the possible firewall rules is also part of the equipment package. 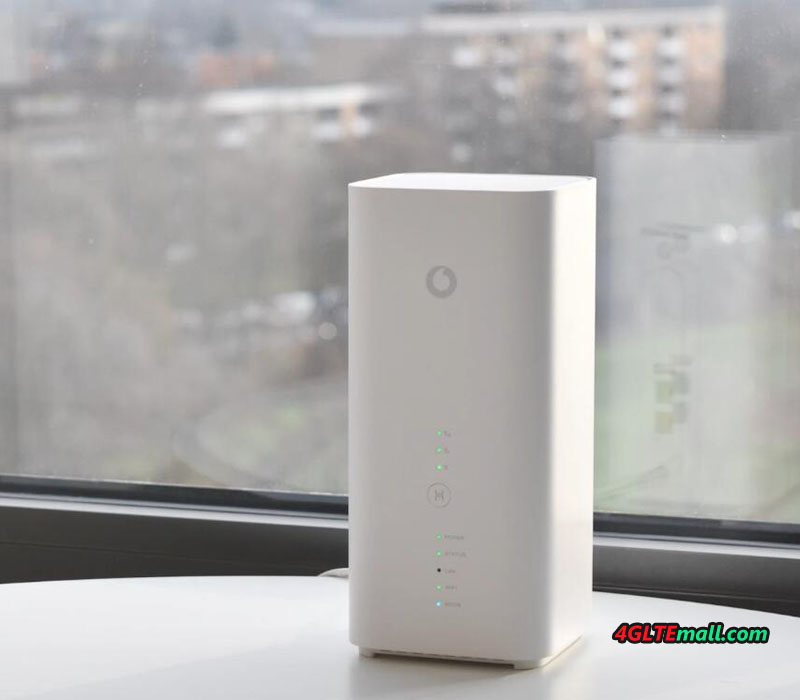 The new Gigacube router from 2019 primarily offers a more modern LTE modem, which is also well-equipped for future upgrades in the 4G network of Vodafone. The Gigacube of the first generation, however, is designed “only” up to 300 MBit. In addition, the CAT19 box already supports LTE at 700 MHz. Otherwise, the differences are rather small. Both offer WLAN up to 802.11ac and two TS9 sockets for external antennas. The GigaCube CAT19 also provides an additional Gigabit LAN port. Technically, the 2019 version of the Gigacube offers much more than its predecessor. However, to benefit from the performance advantages, you have to live in regions where Vodafone already offers LTE-Advanced Pro. In rural areas you will hardly benefit from a change. 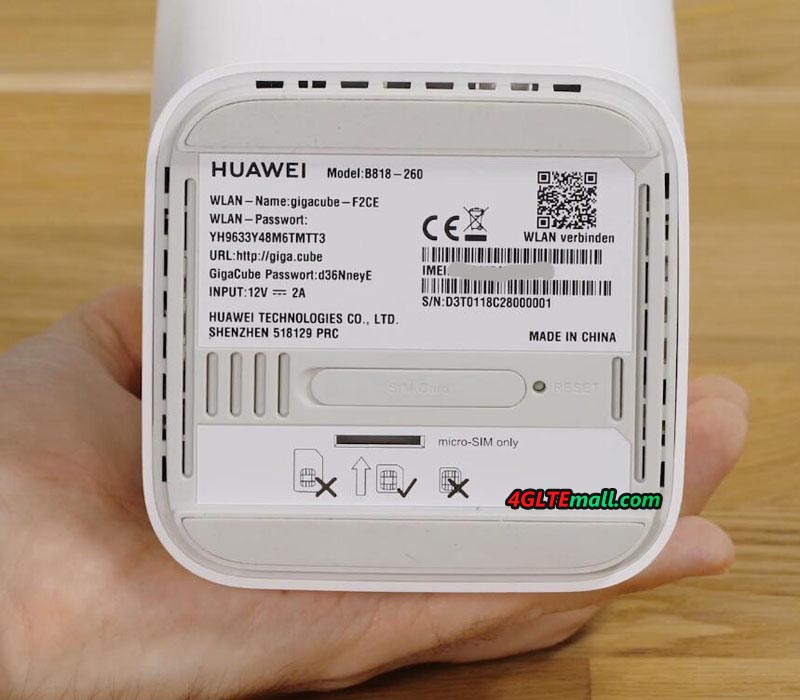 If you would use the Vodafone Gigacube Cat19 in other countries, you have to buy the unlocked Huawei B818 LTE Cat19 giagcube CPE.